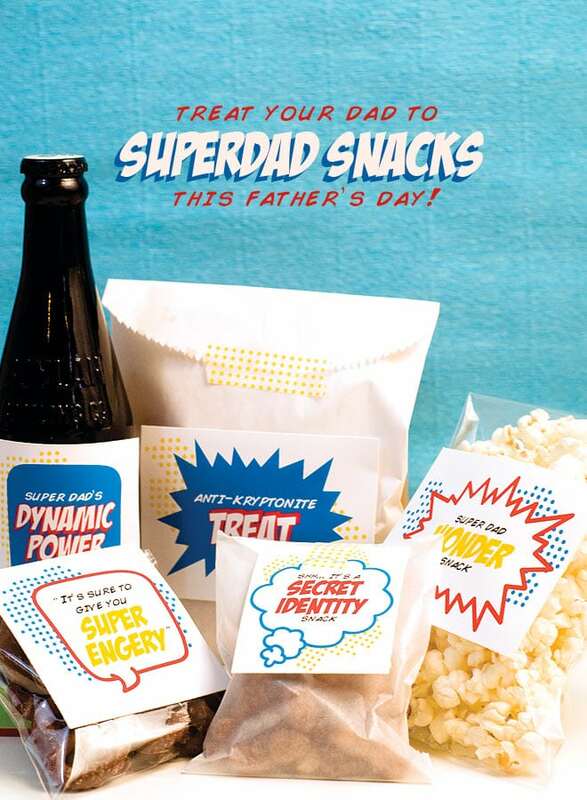 If you find yourself with a SuperDad this Father’s Day, look no further when it comes to getting the perfect gift. 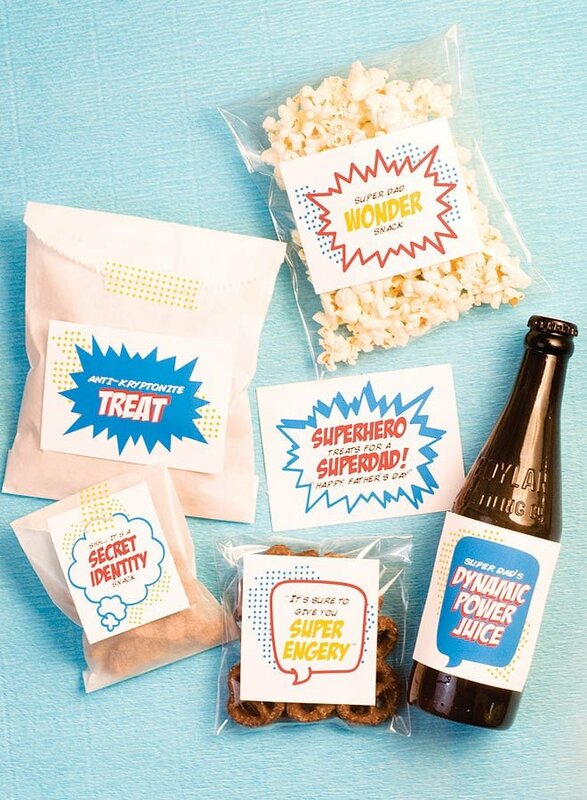 These superhero inspired labels are the perfect way to dress up Dad’s favorite treats for a super good time. Print and cut out your labels on to sticker paper. Gather up Dad’s favorite snacks – such as chocolate pretzels, spiced nuts, potato chips, popcorn, etc. 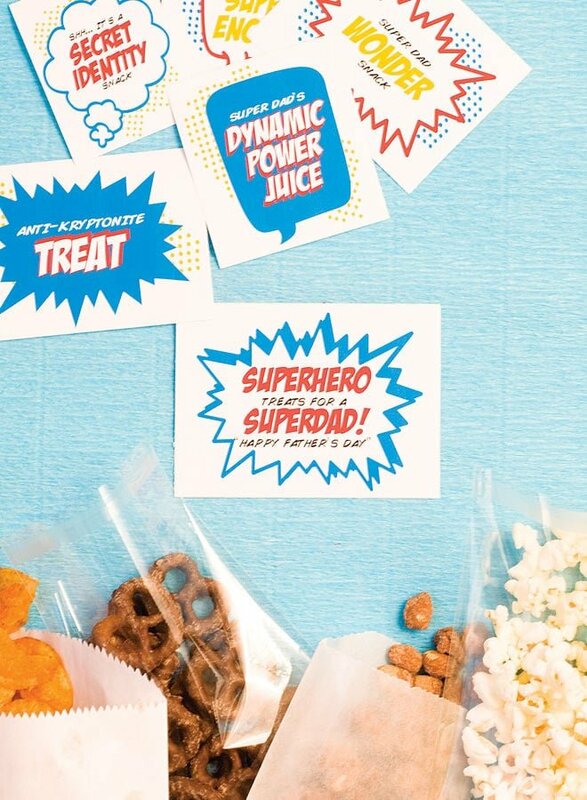 Place your snacks in the personal sized bags and relabel the snacks with the SuperDad labels. You can wrap all the treats up as a gift to unwrap, or display it in a nice wooden box with the remote controls next to the couch – everything a Dad would need for a relaxing evening. And, you’ll get all the credit for being a super sidekick. Adorable… I am pinning and sharing on FB! Thank YOU for leaving such a sweet note! We love it! LOVE these printables! They will make for the perfect Father’s Day gift next Sunday. Thanks very, very much!! This will be perfect for my super hero-loving son to give dad. Where do you get the bags? I don’t want to use cheap baggies. Look for glassine bags at the craft store. Or Party City has white “favor” bags that look very similar!